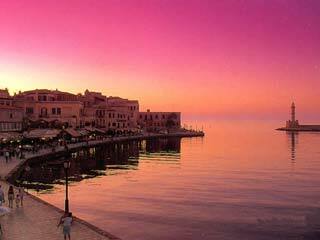 The prefecture of Chania Greece is the western most of the four prefectures of Crete. The capital is the beautiful town of Chania where modern, Venetian, Turkish and traditional architecture are blended together in a perfect harmony, creating a unique and attractive picture. Various archaeological sites, villages, churches, caves, gorges and wonderful beaches are embellishing the attractive and full of charms prefecture of Chania.